Most cellular plans that let you add an iPhone to your account will require some kind of data plan. 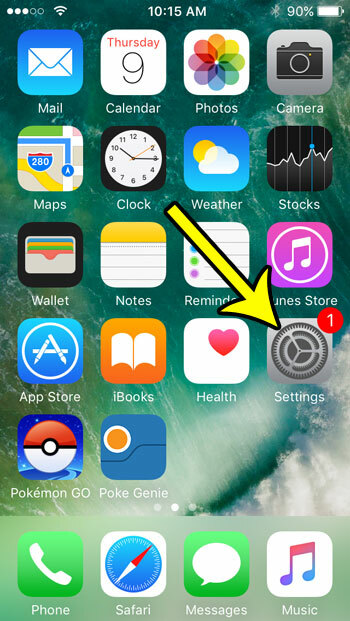 Most of the iPhone’s more popular features require you to download data at some point, and the device becomes somewhat limited on a cellular network if you aren’t able to use data. But if you don’t want to use data, such as when you have already reached your monthly data allotment and don’t want to be hit with any overage charges, then disabling cellular data on your iPhone SE might be the right choice. Our tutorial below will show you where to find and turn off this setting. The steps in this article were performed on an iPhone SE in iOS 10.3.2. 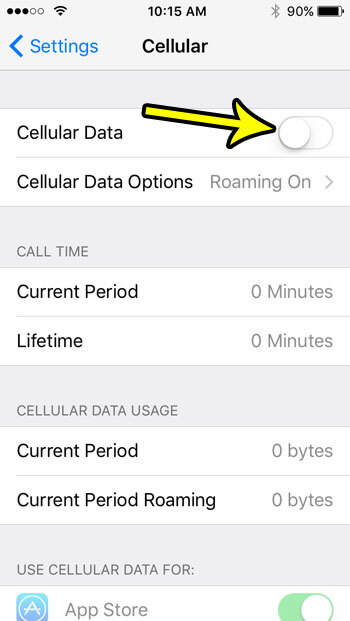 These steps are going to completely turn off the ability to use cellular data on your phone. However, you will still be able to download as normal when you are connected to a Wi-Fi network. Step 3: Tap the button to the right of Cellular Data to turn it off. Your phone will no longer be able to download data over a cellular network when there is no green shading around the button. I have disabled cellular data usage in the picture below. Would you instead prefer to keep cellular data enabled, but turn it off when you are roaming? 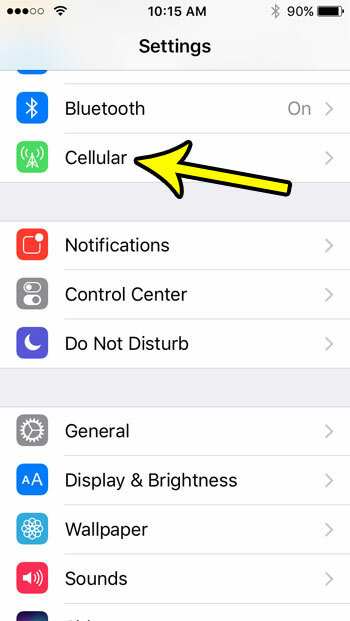 Learn how to disable cellular data usage while roaming on an iPhone SE to avoid those potential charges, but keep using cellular data on your home network.